Home › Afterlife › What Will Hell Be Like? 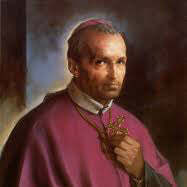 Selections from St. Alphonsus' writings. Covers virtually every aspect of Hell. Shows it exists, describes its torments, proves it is eternal, demonstrates it is not unjust and answers a host of questions. Best short antidote for today\'s irreligion that we know.